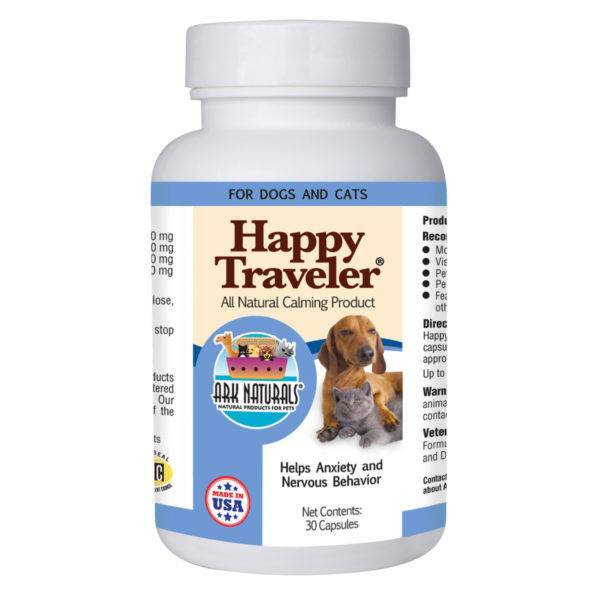 Formulated with the highest quality botanicals, Happy Traveler was designed by a holistic veterinarian and PhD herbal scientist to ease anxiety and motion sickness. Useful for separation anxiety, travel anxiety, to socialize a nervous or excitable pet into a new environment, during thunderstorms, fireworks, airline travel, visits to groomers, vets, and kennels. Non-habit forming. Made in the USA. For dogs and cats 12 weeks and older. All natural ingredients help to calm pets. Non-habit forming.